I cannot tell you how ready I am for Spring. The weather has been such a tease. One day it’s warm the next day it’s snowing. I am getting so sick of my winter wardrobe and decided it was time for a a couple pieces to hold me over until Spring. 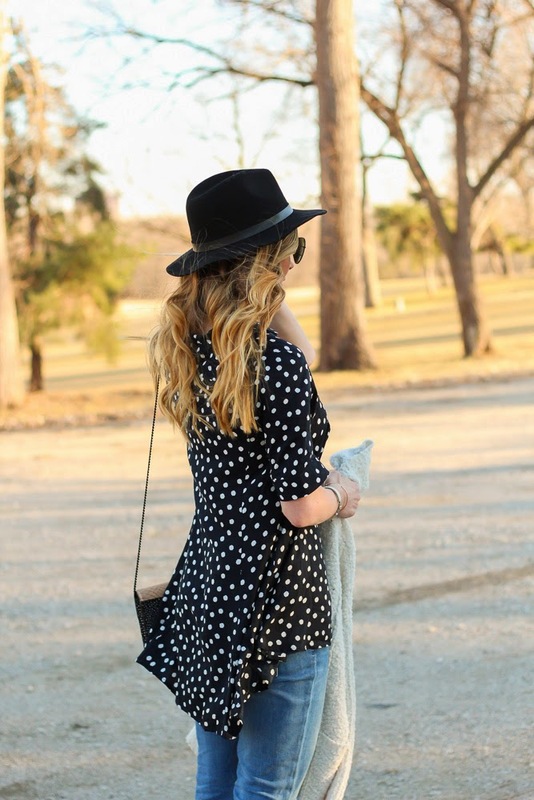 This polka dot blouse from Anthropologie was one of them. 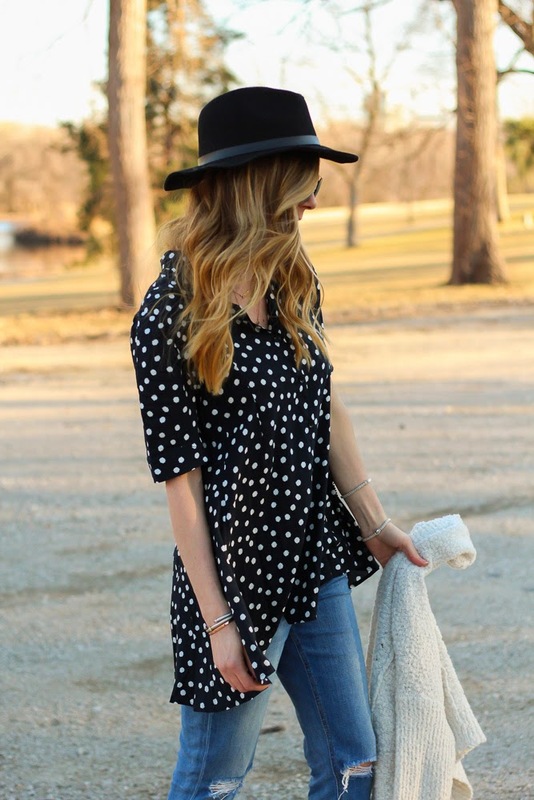 The flowy button down blouse is the perfect length and can easily be layered with a cozy cardigan or pullover sweater. 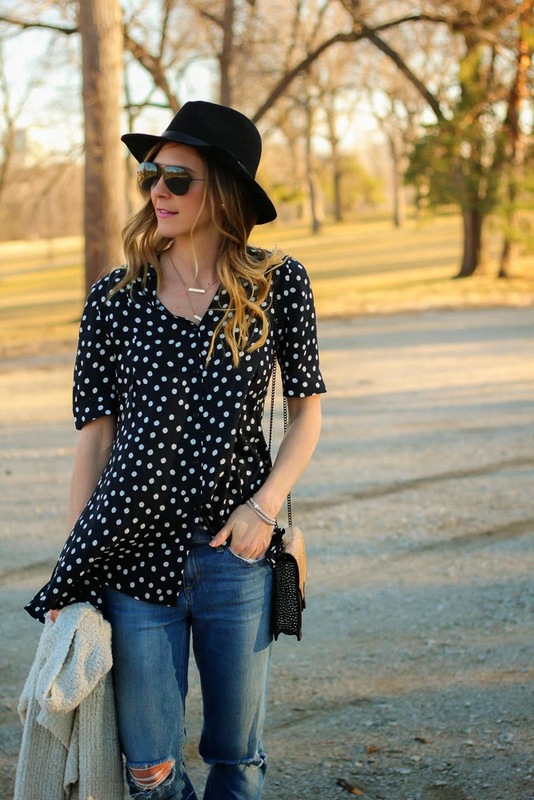 I paired it with my go-to ripped Joe’s Jeans and suede booties (which are half off!). I hope you all are having a great week! As always I love hearing from you… connect with me on instagram, twitter or snapchat! 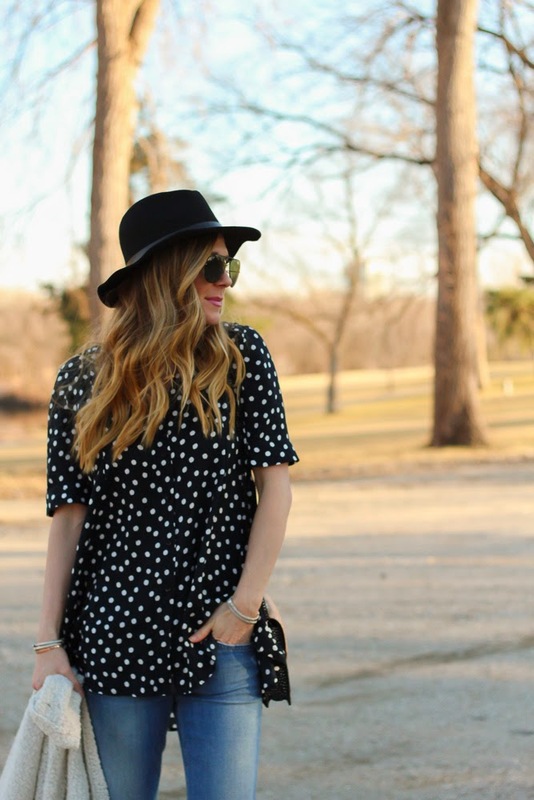 I typically don't like hi-lo but I love that tunic! It looks gorgeous on you! LOVE the shape and fit of the top, it's so pretty and flattering! 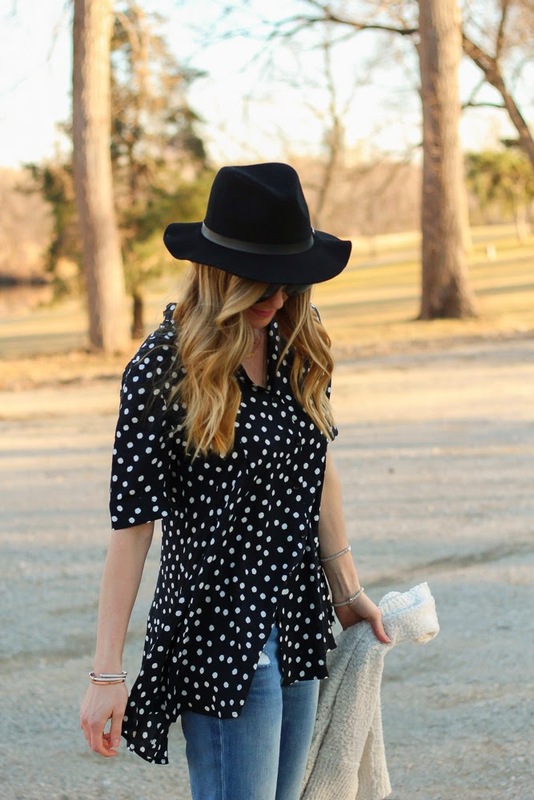 ALSO the dots on that bag are too cute! LOVE IT! Great look. 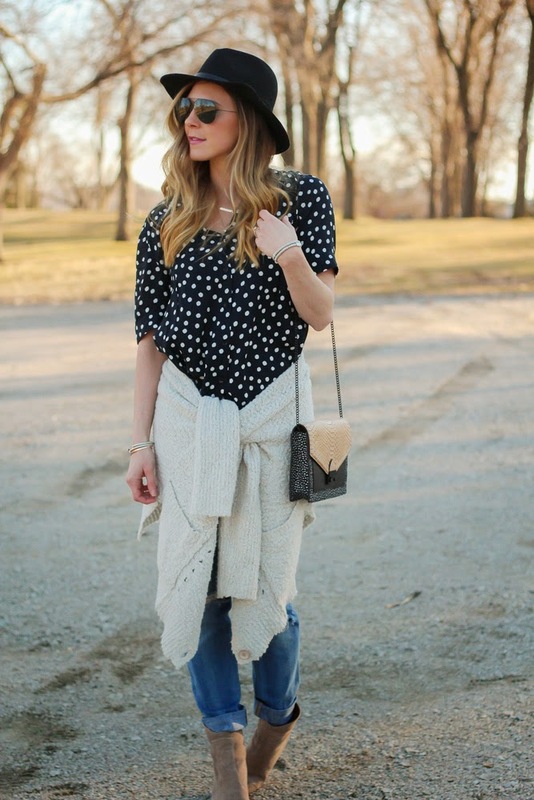 I love the subtle polka dots on the purse contrasting with the larger ones in the shirt.